TIMO provide two type medical waste shredder, one is the cabinet-type small medical waste shredder for hospital, clinic that easily disposal small volume medical waste in site in time. The other is the industrial medical waste shredder for medical waste treatment center that disposal high volume commercial medical waste daily. Small vertical pressure steam sterilizer or big autoclave sterilizer also can be provided to work together with the shredder. TIMO offer 3 models cabinet-type small medical waste shredder utilizing the latest shredding technologies, the shredders only take 0.6-0.7 m³ space for working, plug and play, in addition, the shredders mounted on heavy casters for easy mobility. The small medical waste shredder equipped with a gravity-feed input chute and high-strength alloy cutting blades that can rotate in two directions to reduce the size and volume of the medical waste down to 50%, the cabinet-type small medical waste shredder offer a efficient, safe, economical solution for the any pharmacy, clinic, hospital or medical supply room.These shredder can process various medical waste such as medicine bottles, saline bottles,saline tubes, blister packs, catheters, syringes, glucose bottles, blood bags, ampoule bottle, used needle offering impressive performance with minimal noise and vibration. Small Medical Waste Shredder work on single phase with electrical motor 1.5 KW, one cutting chamber with size L320xW160 mm, available for shredding various medical waste. Small Medical Waste Shredder work on three phase with electrical motor 2.2 KW, two cutting chambers with size L320xW160 mm and L200xW200 mm, bigger chamber for shedding various medical waste, smaller chamber special for shredding small glass bottle for containing various liquid medicine. Small Medical Waste Shredder work on three phase with electrical motor 3 KW, one cutting chambers with size L320xW280 mm available for shedding various medical waste with higher capacity. ♦ Operating in slow speed and high torque,which can shred rigid and flexible medical waste. 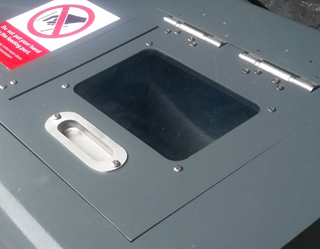 ♦ Lighted viewing window on the top for supervising operation. ♦ Low noise 60-70 dB(A)and low energy consumption 1.5-2.2 KW. Ability to work in both office and factory environment. ♦ Automatically revere to clean stuck material. ♦ Taking up less space 0.6-0.7 cube meter. ♦ Equipped with safety switch on feeding chute to assure safe operation. ♦ Manual opening cover with lighted viewing window on the gravity-feed input chute. 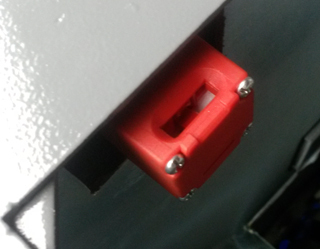 ♦ Safety switch on feeding chute, automatically stop when the cover be opened by mistake to protect operator. 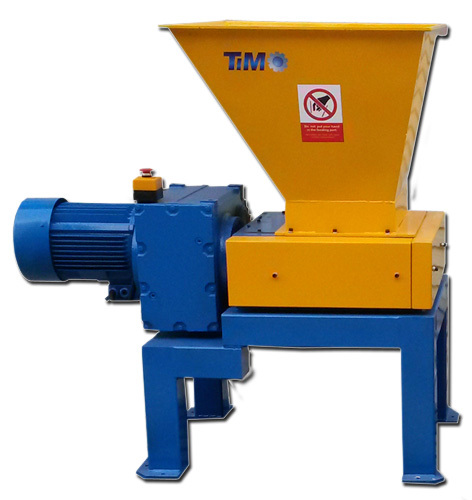 TIMO offer a series standard model and customized model industrial medical waste shredder with capacity range from 200 kg/hr to 10 tons/hr. Slow speed, high torque medical waste shredders easily reduce the toughest medical grade materials ranging from fabrics to glass, such as soiled dressings,surgical gowns, liquid medicine bottle, plastics and stainless steel instruments, such as saline bottles, blood bags, packaging and sharps and more.Shredding medical waste in preparation for landfill disposal is a critical part of medical waste processing, our powerful industrial medical waste shredder can accept single bag processing to high volume autoclave cart batch loading and shred the medical waste to a non-reusable and unrecognizable state, the sterilized and shredded medical waste can be used either as a substitute fuel or disposed of together with municipal solid waste. 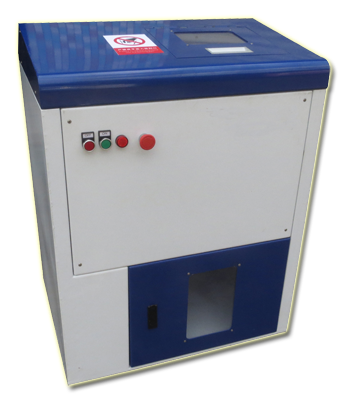 Small but robust industrial medical waste shredder install with electrical motor 7.5 KW, the size cutting chamber is L320xW300 mm, available for shredding various medical waste. Capacity range from 200-400 kg/hr. Medium Industrial Medical Waste Shredder install with electrical motor 22 KW, the size of cutting chambers is L800xW500 mm, big cutting chamber and powerful motor can accept batch loading. Capacity range from 1-2 tons/hr. Powerful Industrial Medical Waste Shredder install with two electrical motors 22+22 KW, each cutting shaft drives with independent motor which make the shaft get the highest torque, available for shedding various medical waste with high capacity range from 3-4 tons/hr. 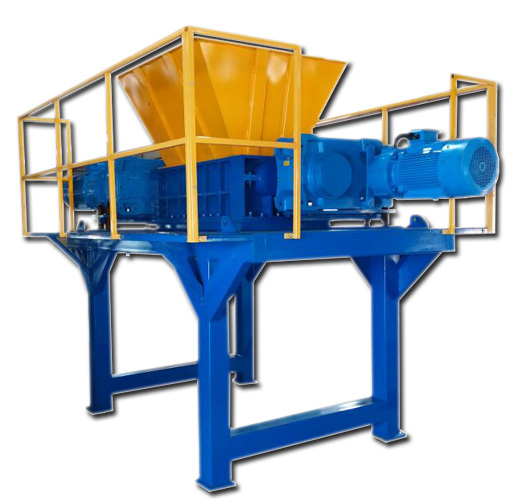 ♦ Overload protection with automatic reversal to clear itself and then continues the shredding process automatically. ♦ Advanced bearing protection system to prevent the water go inside. 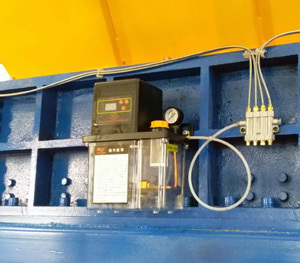 ♦ Automatically bearing lubrication system. ♦ Currents detection ammeter help you to inspect the shredder working. 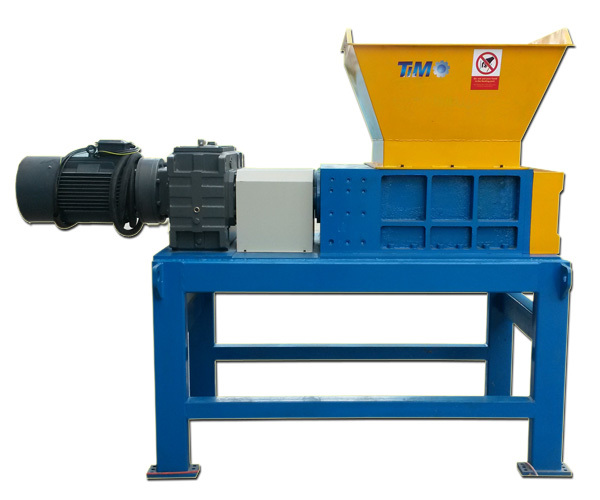 ♦ Available for batch loading, high capacity range from 200 kg/hr to 10 tons/hr. 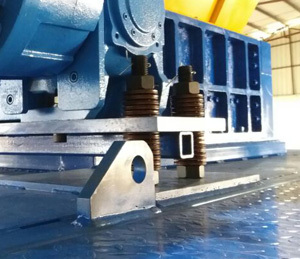 ♦ Automatically bearing lubrication system make the shredder high operational safety and long service life. ♦ Double disc springs absorbs minor shock loads, protect the gearbox, shaft, and motor perfectly.